When it comes to styling your home, lighting is the most important factor in the decision making process. The way that you light up your areas can make or break a room and is one of the most common mistakes that people make when planning their spaces. The right glow can create the atmosphere you are looking for, whether it is a well lit kitchen or a cosy corner. I’ve always had a bit of an obsession with low level lighting. I love the way it can change the look of a room at the flick of a switch. If it were up to my husband, we would have full blown overhead lighting permanently in every room - I’ve lost count of the times he’s walked in and upped the dimmer switch, bathing me in 70 watt glory. Subtle lighting is generally the way forward when it comes to areas made for relaxation. The central overhead light is an essential but needs to look just as good switched off as it looks when it is on. Choosing the right ceiling light is so important when you are planning the style of your space. Living in areas that are properly lit can really affect our mood. Research shows that people who worked in spaces with lots of windows are more likely to sleep better, exercise more and have more positive energy than those that don’t. We take natural daylight for granted but not all room have windows that are big enough for us to be able to feel the benefit. Therefore, it’s important that we have plenty of lights in our home so that we can make sure we don’t lose out on this essential mood booster. The average sized living room needs at least four light sources, plus an overhead light. The type of light can vary dependent on how we want to feel or what we want to use the space for – a study area will require a much brighter light than a corner in which we want to relax. It’s really important that you think hard about how you want that space to make you feel. Here’s my top five ways of using lighting in your home. The right table light can create the perfect ambiance. Dark corners are not conducive to relaxation and can feel dull and unwelcoming. Large shades reflect and expand the light to make the space shine and encourage guests to feel at home. Go for statement, mixing textures and tones to suit your room. 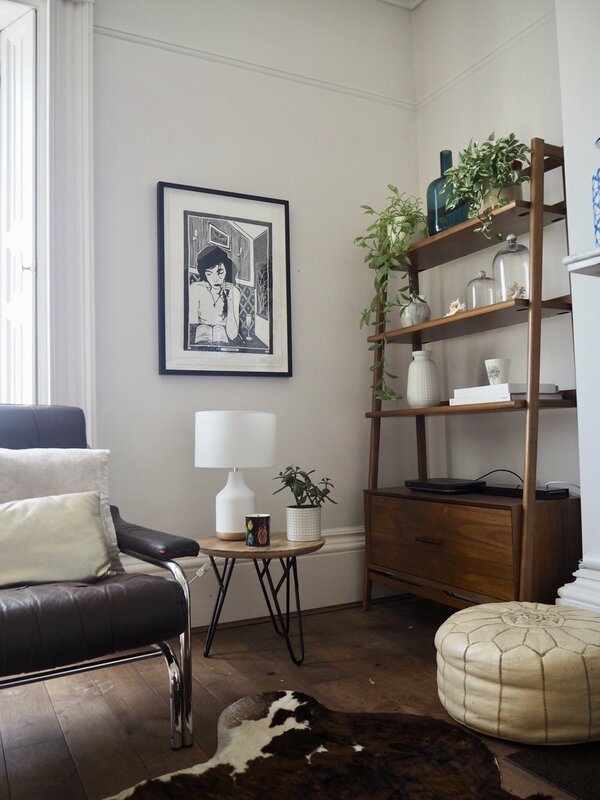 Simple designs and natural materials are key to this seasons neutral trends – wood, concrete and glass are all perfect to give your home the X Factor. Use a matching pair if you like the symmetrical look or mix them up. Another great way of making the lighting work in your room is to use varying heights of lighting. Standard lamps are a great way to create a focal corner and this one is perfect for the job. They also work brilliantly if you have an L shaped sofa and no space for a side table. Place the lamp behind the seating area for maximum effect. Being able to adjust and focus the light where it’s needed is an excellent benefit. It’s really important to have adequate lighting when you are working at a desk. The glare from the computer screens can strain your eyes so it’s essential to have a secondary light source to avoid that concentration headache which is so common when we all spend so much time online! LED lighting is long lasting, super efficient and mimics natural sunlight so it’s a great choice for a study desk. You can alter the position to provide full focus on what you are working on. This is particularly brilliant for encouraging my son to do his homework, always a difficult job! The perfect room should have a selection of lights of different shapes and sizes to promote the ideal ambiance. Side table or shelving areas are often difficult to light properly due to space constraints so a smaller table lamp is a good option. Again, choose a style that blends well with the surroundings to keep the focal point calm and relaxed. As with larger table lamps, mix and match to create an eclectic look. 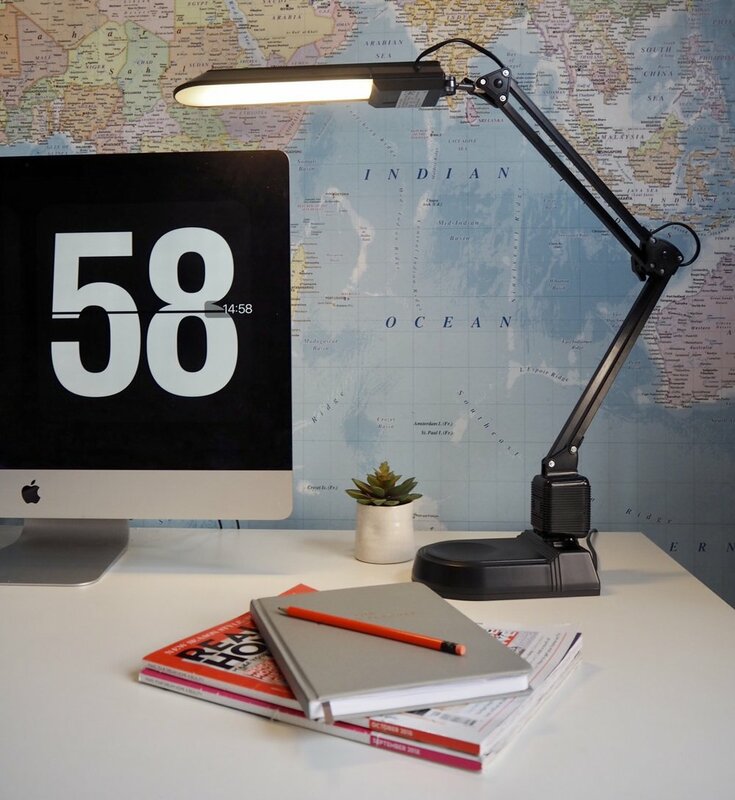 Ideal for dressing tables or bedsides, the spot lamp is softer than the desk lamp and enables you to focus the light exactly where it’s required. 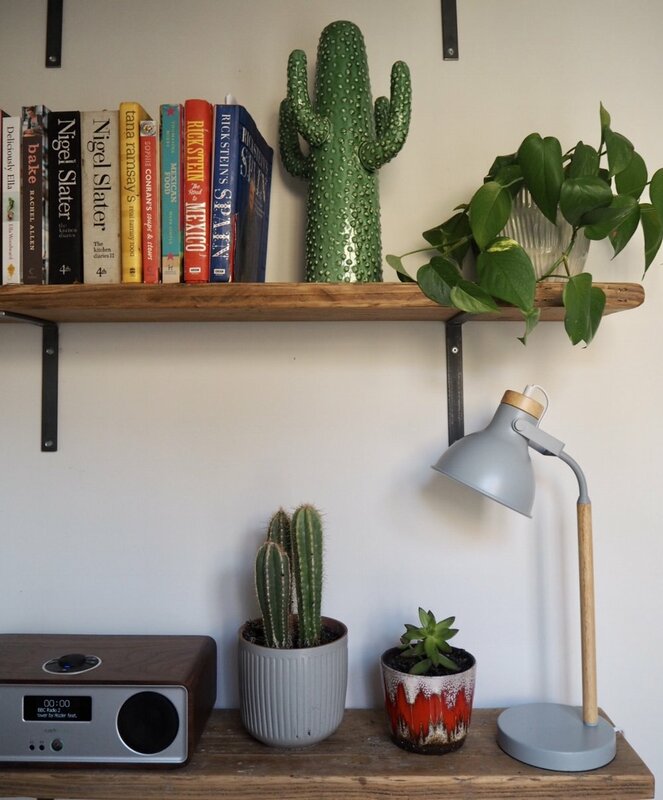 It’s a flexible shape, size and style that can work in almost any room, from a kitchen corner to a shelf, highlighting favourite accessories or books. This one is a soft grey with contrasting natural wood, one of this seasons key features. So mix it up! Varying your lighting types can lift your mood and transform a dark corner into a welcoming nook. When we walk into our rooms, we want to feel comfortable, cosy and ready to relax. Our homes have the power to bring happiness and using the correct lighting encourages our spaces to make us feel this way. Think carefully about what you will be using each area for and choose the right light to fit your space. This sponsored post was in conjunction with the lovely people at Argos Home. I would never consider promoting a brand that I didn't love and wouldn't use myself.